Adelaide: After a 34 run loss in the first One day International cricket (ODI), Virat Kolhi-led Indian team will be bracing for a win to keep the series alive when they take on hosts here on Tuesday. Rohit Sharma’s heroic knock of 133 runs off 129 balls in the last match, will give some relief to Indian team, but Mahendra Singh Dhoni’s struggle with runs in the middle overs will remain a major cause of concern. Hardik Pandya’s sudden suspension on disciplinary grounds has badly affected the balance of the batting order which saw India’s 34 run defeat despite Rohit Sharma’s brilliant century. Dhoni’s 51 off 96 and unable to rotate strike is a worrying factor for skipper Virat and coach Ravi Shastri. Dhoni who bats at no 5, but Rohit Sharma wants the former captain to bat a slot higher, however, during the training session it became clear that there will be no changes in the batting-line up. However, in the last match, M S became the fifth Indian batsman after legendary Sachin Tendulkar, former captain Sourav Ganguly, present India Under-19 Head Coach Rahul Dravid and skipper Virat Kohli to score 10,000 ODI runs for India. Chasing a challenging target of 289 runs, India got off to a worst possible start as their three top order batsmen departed early -Shikhar Dhawan (0), Virat Kohli (3) and Ambati Rayudu (0). Kohli was caught by Marcus Stoinis off Jhye Richardson in third over. It was Virat’s rare failure. India kept losing their wickets at regular intervals and ended up being a 34 runs short of the hosts total of 288 runs. In Hardik’s continued absence, Now, the team management has to find a better balance between bat and ball. Though, Rayudu is free to continue bowling in international cricket, but it depends on the team management, whether they allow him to bowl or not. Kedar Jadhav provides an alternative option in that light, and he could come into the playing eleven at Dinesh Karthik’s expense. There are chances that the same bowling composition as in the first ODI will be retained, despite Khaleel Ahmed being off-colour. He batted in the nets along side Yuzvendra Chahal on Monday. Out of the three fast bowlers, Mohammed Shami was most impressive in the first match and given the delicate situation of this series, he will certainly not be left out. However, the expectation will from the top three batsmen to perform good and also to handle pressure as well rotate strike. Kohli averages 73.44 at the Adelaide Oval across all formats, while in ODIs alone, he still averages an impressive 46.66. Australia didn’t announce their playing eleven for the second ODI either, but it is expected that they will field the same team as in the first match. Their biggest concern at the moment is if Glenn Maxwell is batting at his best position at number seven. 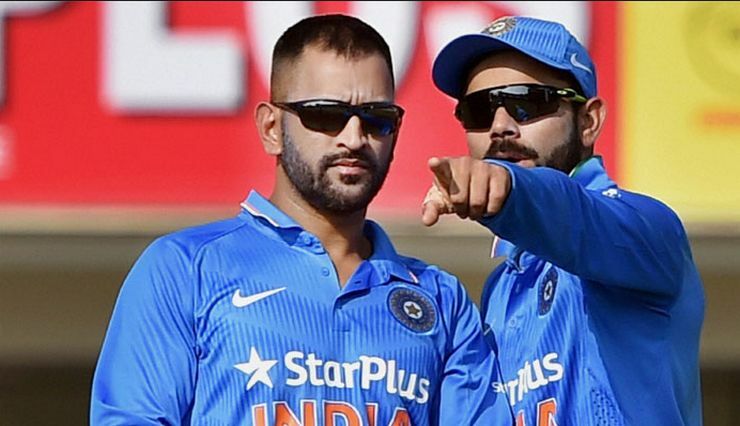 India probable: Virat Kohli (c), Rohit Sharma, Shikhar Dhawan, Ambati Rayudu, Dinesh Karthik, Kedar Jadhav, MS Dhoni (wk), Kuldeep Yadav, Yuzvendra Chahal, Ravindra Jadeja, Bhuvneshwar Kumar, Khaleel Ahmed, Mohammed Shami, Mohammed Siraj, Vijay Shankar.